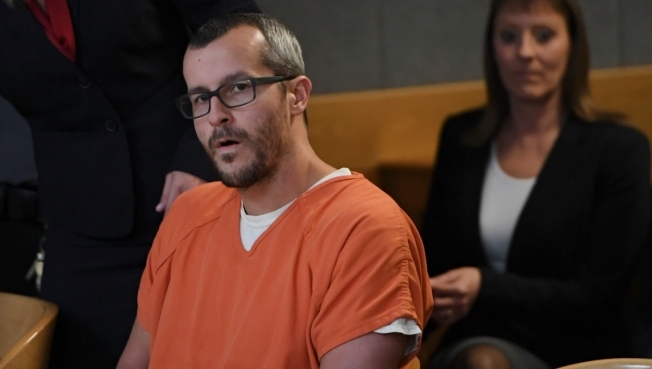 In this file photo, Christopher Watts sits in court for his sentencing hearing at the Weld County Courthouse on November 19, 2018 in Greeley, Colorado. In a jailhouse interview with the Colorado Bureau of Investigation, Chris Watts talked about how he is haunted by the last words his 4-year-old daughter said to him before he killed her and how he tried to cover up the crimes by making it seem as if his wife took their children and left him, NBC News reports. In a 31-page document released Thursday, Watts also detailed his affair and revealed why he pleaded guilty to the murders of Shanann Watts, and daughters Bella, 4, and Celeste, 3, last August. Watts, 33, is currently serving three consecutive life sentences in prison.